What Could Make Me Feel This Way? Excitement took over as we searched for and found our seats. We hurried to take as many pictures as we could before the announcement rang out to turn off all electronic devices. (Sidenote: I think it’s sad that we live in a day and age where we focus so much on our cell phones that we forget to embrace and acknowledge the moments that occur right in front of us. This is definitely something I hope to grow in.) Once our phones were off and we settled, the conductor was introduced and the show began. What show could make me feel this way? Could spark a desire in me to sport 60’s fashions while channeling my inner Diana Ross? 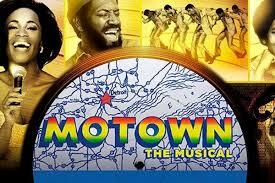 Well, I guess you’d say Motown: The Musical made me feel this way! The show was amazing. The clothes, song selections, as well as their ability to address and portray race relations as they were in the 60s was phenomenal. I felt the pain intertwined in the lyrics of “What’s Going On?” and the depictions of civil unrest after the death of Martin Luther King Jr. I also felt the joy of Berry Gordy Jr. as he overcame barriers which allowed people of all colors to appreciate his music. There were great moments dispersed throughout the musical, and I am glad I was able to see SUCH a great show. Sometimes I wish my mother had me in the 50’s, so I could’ve grown up in the 60’s. But, I also understand that things happen for a reason, and I am grateful that my mother raised me with the sounds of Motown. Motown did not simply produce music that made you dance, it produced speeches that made you think. Songs that challenged your beliefs, and lyrics that encouraged you to remain steadfast. I loved the experience, and I hope that I can see it on Broadway one day. I think everyone should see this musical at least once in their lives. Just great! I bid thee adieu lovelies. P.S. Do you have any oldies that are your favorites? What do those tunes make you think of? Please share! 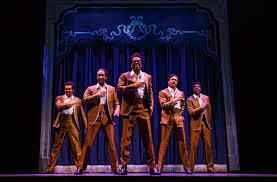 I saw that musical last season, while I was visiting Chicago– so great!! Ah! Can you be my new Motown buddy?! Lol, jk. Young Michael Jackson definitely stole the show!